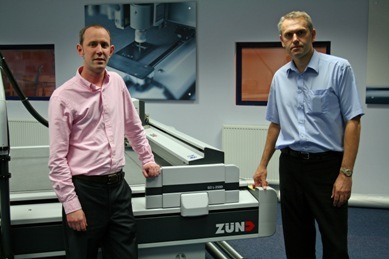 Graphic Printing Technologies (GPT) has added the Z?nd G3 range of digital flatbed cutters to its portfolio. Developed specifically for 24/7 operation, the Z?nd G3 is available in nine models, all of which can accommodate Z?nd tools and material-handling features. The main show in the Ireland print calendar is about to take place. Here's what you can expect from Sign and Digital Ireland 2009. Take no risk and you can expect no reward. It can be a ruthless game, but follow these tactical tips and you will stand a better chance of coming out on top. By Walter Hale. With money tight it's hardly surprising that trade in used wide-format printers is stronger than ever. So can you find real value-for-money deals? Manufacturers and suppliers have a vested interest in helping you find funding for new equipment. So should you turn to them in these tough economic times?